Are you looking for that perfect recipe to engagement that will lead to more conversions on your site? But be careful. More engagement does not necessarily mean more conversions. The truth is, too much engagement can actually be bad for your website. That’s why you need just the right amount of engagement in your conversion optimization recipe. Keep reading, and I’ll explain. First off, what are the different types of engagement? Landing Page Engagement: Landing page engagement is often measured by how much time a user spends on your landing page or how many clicks you get on a form field. On a landing page, generally, the engagement you want is the conversion: sign-up, purchase, download, or whatever other goal you’ve set for the page. Website Engagement: A key metric for website engagement is your bounce rate—if your pages are truly engaging, people will often explore your site further. A second factor is your site’s page-load speed. If your website takes too long to load, you’re likely to see a higher bounce rate. Social Media Engagement: Engagement on social media can be measured by the number of likes, shares, comments, and mentions your content gets. Do your fans engage with you online? This is a good measure of how well you’re building relationships with your followers. Brand Engagement: This type of engagement attempts to encourage relationships between brands and consumers. Metrics used to measure brand engagement include customer loyalty, which can be measured by the number of repeat purchases, and the Net Promoter Score, which asks users how likely they would be to recommend your brand to a friend. Engagement can mean a lot of different things, and each brand has its own unique formula for what works. The goal is to create interactions that lead to a sale. Your challenge is to identify those actions and encourage them, so you can create a user experience that leads (more times than not) to conversion. You’ve definitely heard the saying, ‘less is more.’ It’s true. Especially when it comes to engagement. The Paradox of Choice says that the more options we are presented, the less likely we are to act on them. On the other hand, we will often take action when presented with fewer options. Today, with the surplus of sharing mechanisms available, it’s important to keep it simple and avoid overwhelming people with too many choices. How much is too much? If your visitors can’t remember all their options, you’re probably offering too many. Researchers have found that when a blog typically has 3 social sharing buttons—in this case Facebook, Twitter, and Google+—when the total number of buttons was increased to add LinkedIn and Pinterest, the overall amount of social shares decreased by 29%. Based on these findings, let’s look at how you can encourage social shares. You’ll need to test, of course, but it’s likely that too many share buttons could reduce your overall shares. As a fix, include only the networks that are most relevant to your visitors. Check your analytics tools to see which sites give you the most referral traffic. Then play around with the order of your share buttons to increase shares—interestingly, the first sharing button typically gets the most clicks. How many share buttons should you use? A good rule of thumb is between 2-4 buttons. Weed out the ones that aren’t being used, and encourage sharing on the sites where you get the most engagement. Creating an interactive website is a great way to utilize, not only your website engagement, but your social media and brand engagement as well. Interactive content allows your users to feel as if they’re not passively moving from one checkpoint to another, but as though they’re actually participating in the conversion process. We like to feel like we’re in control of our purchasing decisions, not like we’re prey in a hunting expedition. 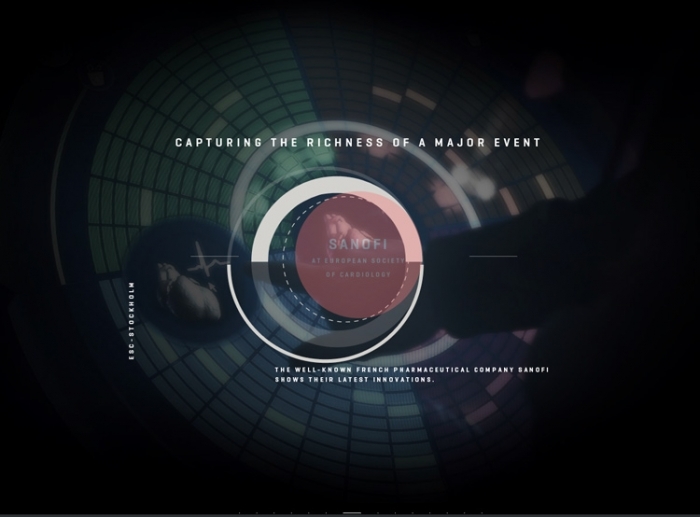 Interactivity gives your audience a feeling as if they’re playing along. Not to mention, it increases engagement metrics, such as time on site, brand remembrance, and social shares. 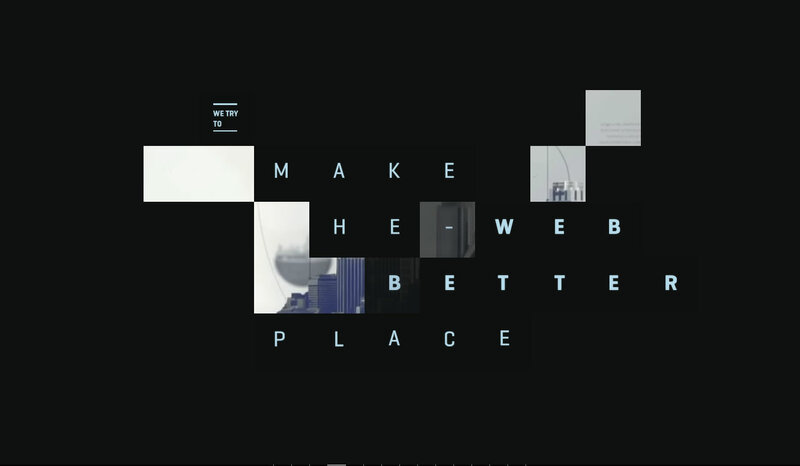 There is a fine line here in our conversation of ‘the right amount of engagement.’ To illustrate this best, I’ll present you with two relevant examples, both lovely interactive websites found on web design inspiration site, Betterment. Black Negative has a stunning interface, artistically designed. However, I got through the entire website and am still unsure about exactly what service they offer. While the activities they led me through are very engaging, I paid very little attention to the message they were trying to get across (i.e., what they do) and was too focused playing with the neat features. Another Crazy Egg article gives you the steps you need to take for a more engaging and shareable website, so I won’t repeat them here. For now, let’s focus on the basics. Why are you creating this web page in the first place? What exactly is it that you want to get out of your users? I like to choose someone completely unbiased, who has never seen my website before, and watch over their shoulder as they navigate through the site. I can sometimes see where they get confused. But when they’re done, I ask for additional feedback. Did they get the expected takeaways and relevant information from their time spent on the site? Was there anything that distracted them or made them want to click off? Any elements or features that don’t directly encourage the CTA, I throw out because they could be considered a distraction. These elements actually lead to too much engagement. The only way to see if your over-engaging is by continually testing and optimizing. See if you can tell the difference between the previous example’s engagement, and this next example’s engagement. 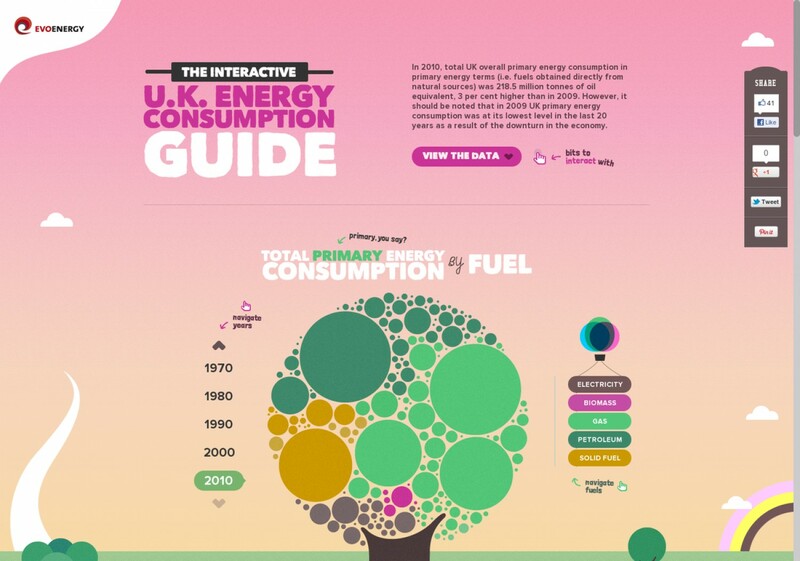 EvoEnergy’s website provides an interactive guide to energy consumption in the UK. In this guide, it’s very clear what you’re learning about—the interactive elements add to rather than distract from the message. For example clicking on a particular energy source will show you the carbon footprint and how it’s effecting our environment. Here, every button you press actively helps to convey the message of energy efficiency. As you can see, here, engagement is a powerful tool for delivering the message in a memorable way. But here, it adds value to the message rather than distracting you. 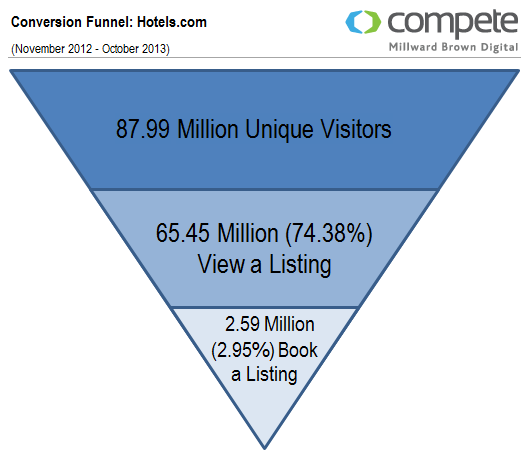 Compete shared a study analyzing Airbnb, Booking.com and Hotels.com, utilizing online conversion insights to see how engagement actually effected conversion rates. First the case study looked at engagement metrics for each site: how long users spend on the site, number of pages per visit, etc. There was no competition. 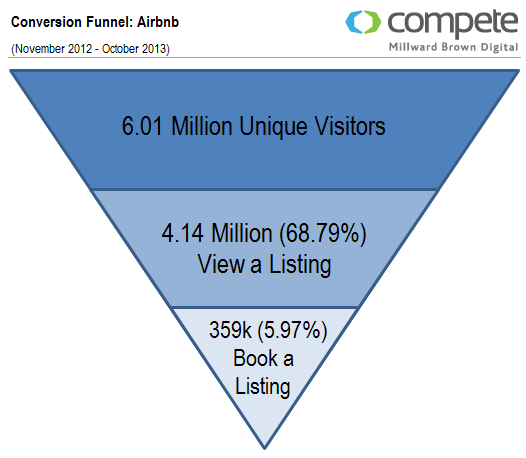 Airbnb stole the show with 70-80% more pages per visit and longer average time on site. If you’ve ever browsed Airbnb’s site, you know why they ranked so high in engagement. It’s a relatively new concept, Airbnb, and people are fascinated at the prospect of staying in someone else’s place, particularly with so many options to choose among. When you look at a hotel or resort booking site, you basically know what to expect from each room. When browsing Airbnb, you could stumble upon a castle, a tree house, a neighbor with a cute dog, or a restaurant next door that turns into a club at night, to name only a few. Now, as the hands-down winner in engagement, you’d think Airbnb would also have the highest revenue. However, that’s not the case. Even with the highest engagement levels, they have only a fraction of the traffic their competitors have. This brings up the point I made in the introduction. Engagement does not always equal higher conversion rates. Remember the Paradox of Choice? It’s possible that Airbnb provides too many options. Or maybe users must make too many decisions and have too many unknowns when considering Airbnb. It may simply be that, despite being intrigued by the concept of Airbnb, visitors want to know exactly what to expect when they arrive at their destination. So engagement isn’t the be-all end-all when it comes to conversion. You need to create engagement, but not so much that you distract people from your conversion goals. 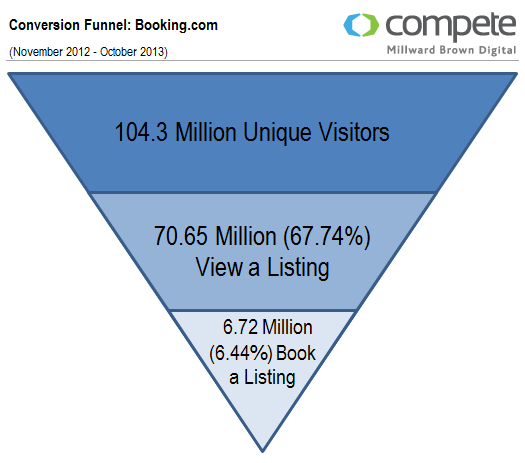 In this study, Booking.com has the highest conversion rates. Why? It’s possible they engage with their users on a more personal level. They also do a good job of leveraging social proof—the website offers you reviews by others, tells you how many people have booked the room you’re searching, and how many people are currently looking at it. It may be less creative, but it’s the experience users expect. And it answers their questions without adding the extra friction of too many choices. If you want to increase your conversion rates, you have to know which metrics matter most. And you need to be measuring how well people move through your funnel. Find the points where people stop moving or drop out of your funnel, and test solutions. The bottom line is this: You need to test continuously to keep improving your engagement levels. But remember, engage users enough to drive conversions without overdoing it. Use engagement strategically—to keep people on your site without adding friction or confusing them—and you’ll likely improve your conversion rates as well. What about you? What examples have you seen of engagement done right or wrong? Let us know in the comments below. The post Why Engagement Doesn’t Always Lead to Conversions (& What to Do About It) appeared first on The Daily Egg.